Emily and Mike started their married life on a very lucky note. 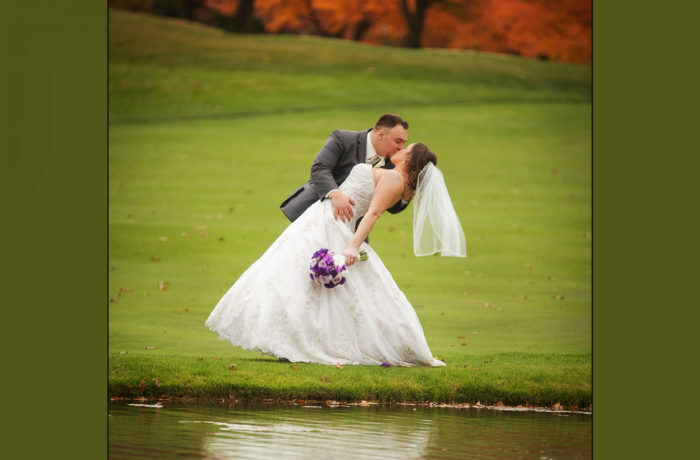 They decided on a late October wedding outdoors and it turned out to be beautiful! Wedding photography is fun when you have a couple this beautiful inside and out! Not stuck on tradition the happy pair made the day into exactly what they wanted... a incredible happy celebration with family and friends! We have had Mike Ferguson do all kinds of photos for our family over the years, and his work is always exceptional. Athletic events, senior photos, Christmas cards, wedding pictures. He has a great eye and captures the most wonderful moments. And you hardly know he is there! I highly recommend his work. 5 Stars! !